John’s topic is The Neuroscience of Leadership: How leaders and leadership has changed and looking ahead to 2020. Each attendee will walk away with a clearer understanding of how leaders need to change to meet the changing marketplace and to build a competitive effective organization. This event is open to EVERYONE! You do not have to be a Messiah alumnus or business major, and attendance at previous events is NOT a prerequisite. Learn more here. The Hill Society & Vistage Chairs Chad Harvey and John Dame invite you to attend the first Leadership & Libations. 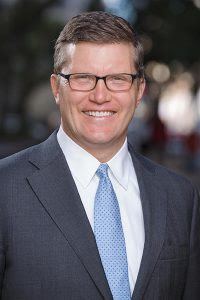 Meet Eric Herrenkohl, acclaimed author of How to Hire A-Players and the forthcoming book Crowbar: Pry top talent out of your competitors, surround yourself with the right leaders, and create the team your customers demand. Join Eric, Chad & John for a fun, informative and free-wheeling conversation that will elevate your game in the ongoing war for talent and help you out-recruit your competition. Do CEOs make good political leaders? Yes and no. If they apply the vision, culture and strategy needed to succeed in business, yes. But government leadership demands additional skills. This annual conference will feature global business leader and inspirational speaker Brett Pyle and his talk on “Your Extraordinary Why: Living a Successful Life of Significance.” The conference, to be held at the Harrisburg Country Club, will focus on leadership topics and will benefit both surfacing and seasoned business leaders. Tickets are still are available. To register for JD Evolution visit http://www.evolutionconference.org/. In addition, Penn State Executive Programs has donated five online “micro lessons,” as well as a leadership competency inventory assessment for conference attendees. Presented by The Harrisburg Regional Chamber and Capital Region Economic Development Corp. The event featured six local innovators and big thinkers who shared how essentialism guides their business and personal lives. John Dame recently participated in a panel of experts who discussed the value of thinking ahead when it comes to business succession planning and the steps owners can take today to ensure they are ready. 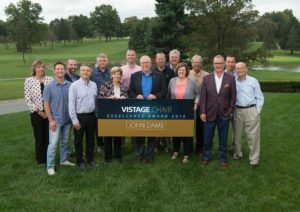 Vistage has awarded its Chair Excellence Award to John Dame for the second time. Every year, Vistage selects the best chairs based on group size, retention, referral joins and key participation. Of 600 chairs nationwide, Dame was selected by Vistage as a result of his growing practice and the effectiveness of his coaching. The 10 New Leaders Project, a pay-it-forward initiative in this years’ Evolution Series, gives 10 high-potential, emerging, or advancing leaders the opportunity to receive more than $10,000 in leadership development programming, as well as a ticket to both Evolution Leadership events on May 23 and October 31. The 2017 Evolution Leadership Academy featured speaker Kamran Loghman, Chief Global Leadership Instructor for Apple. Kamran presented the “Create-Lead-Achieve” workshop, which is used for training Apple employees. 125 business leaders from south central Pennsylvania attended the event. “We want to take the leaders to the next level of leadership, show them how to think different, how to be creative, how to learn about leading themselves as well as leading others,” Loghman said. John Dame is an executive coach for CEO’s around the world. He specializes in leadership development and he’s bringing his services to our area. This year for his Evolution Leadership Academy series there are 10 leaders from businesses across our area benefiting specifically from his expertise. Each leader will get $10,000 in professional and personal development services.